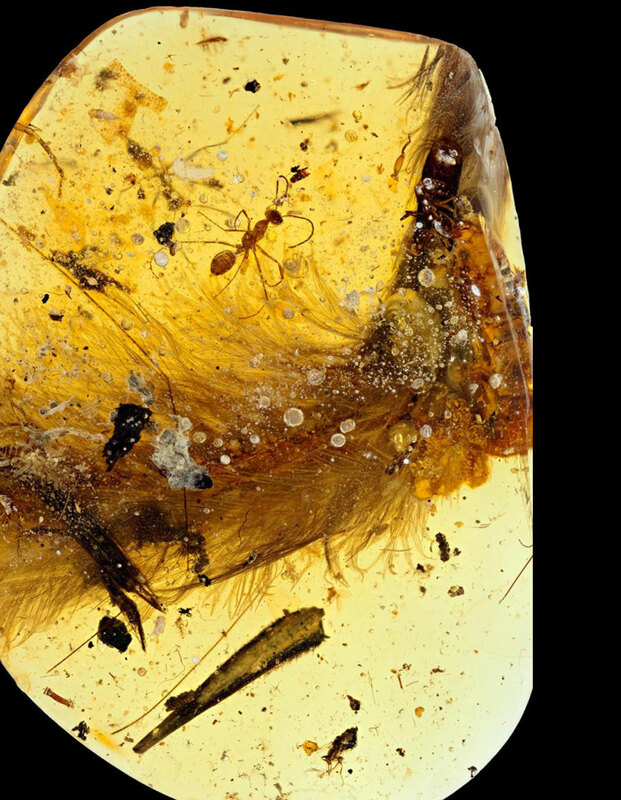 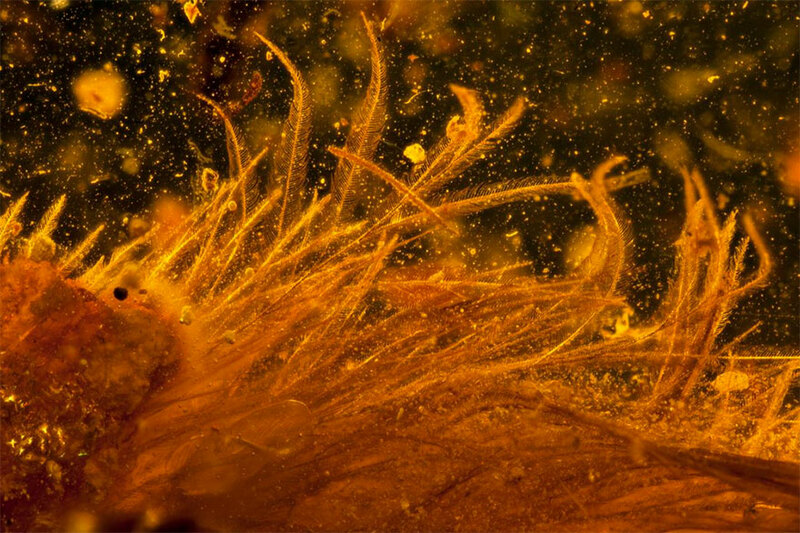 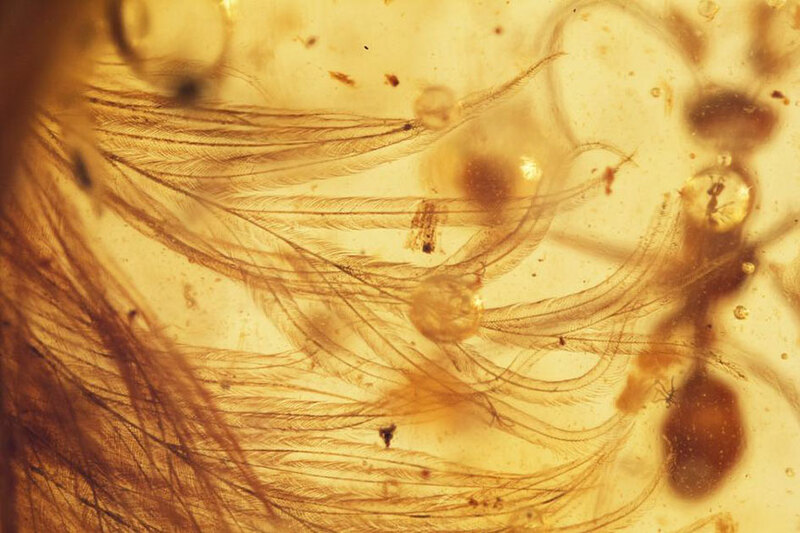 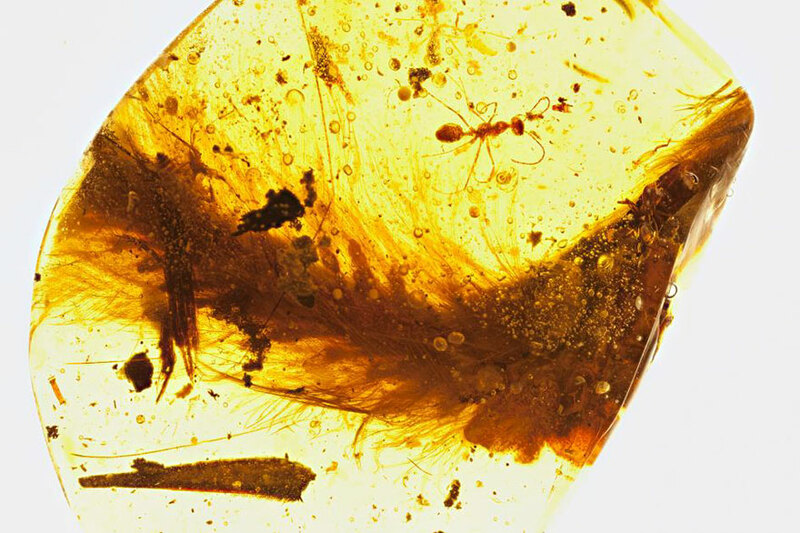 While collecting samples in Myanmar last year, paleontologist Lida Xing discovered the first known dinosaur tail preserved in amber, and it has feathers! 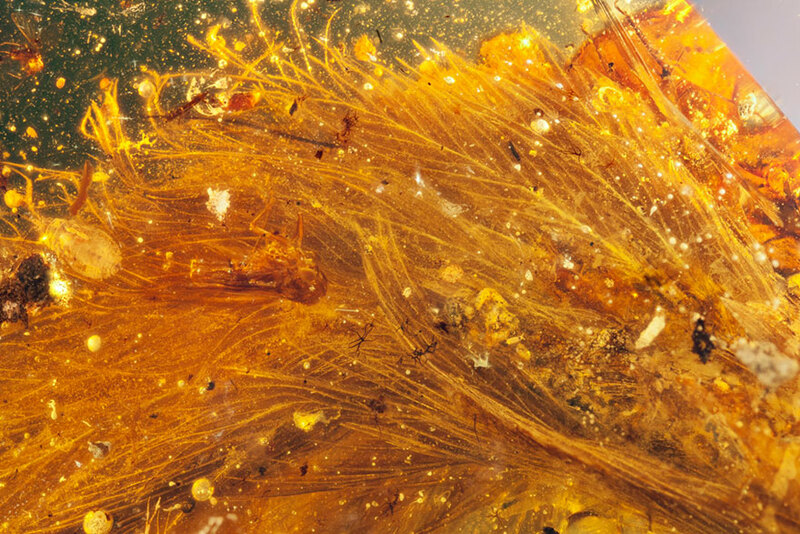 The piece of amber is about the size and shape of a dried apricot and captured inside it is a 1.4-inch appendage covered in white and chestnut brown colored feathers. 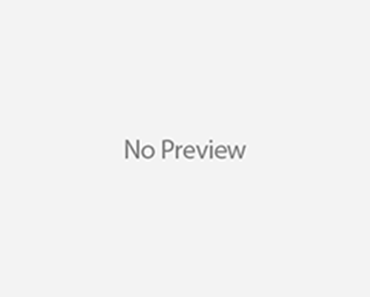 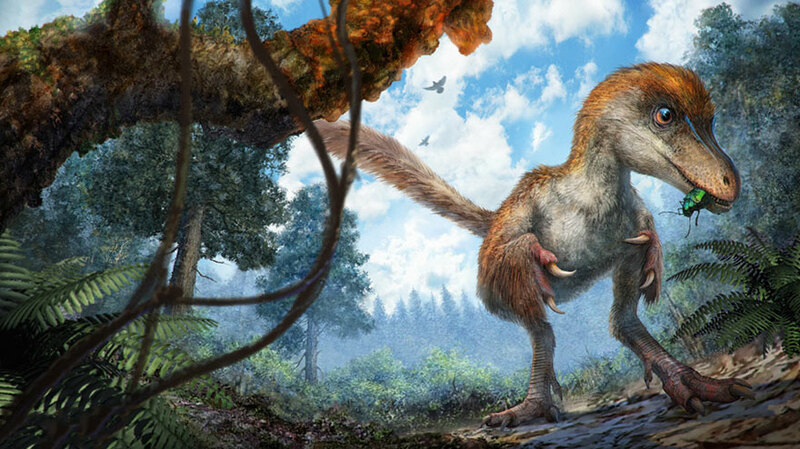 The tail is around 99 million years old, and scientists believe that it belonged to a juvenile coelurosaur, which is part of a group of theropod dinosaurs. 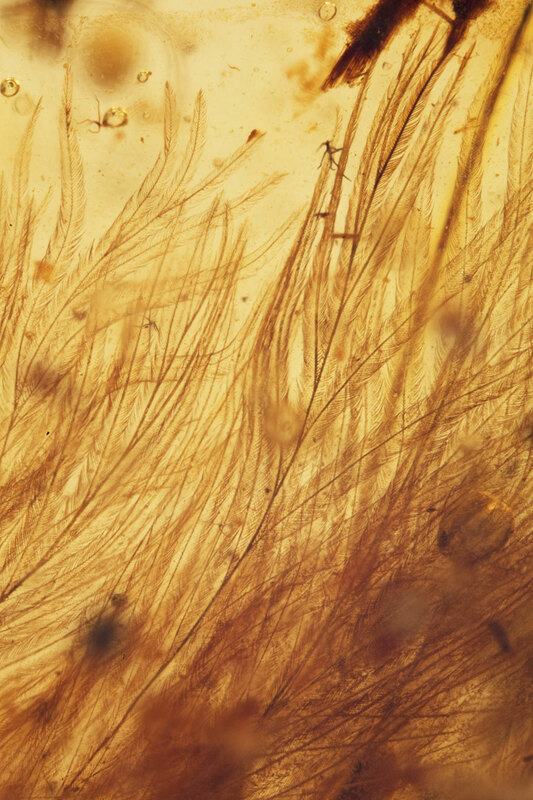 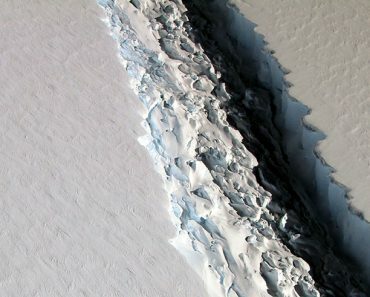 “While individual dinosaur-era feathers have been found in amber, and evidence for feathered dinosaurs is captured in fossil impressions, this is the first time that scientists are able to clearly associate well-preserved feathers with a dinosaur, and in turn gain a better understanding of the evolution and structure of dinosaur feathers,” Kristin Romey wrote on National Geographic.